Socotra (Arabic: سُقُطْرَى‎‎ Suquṭra), also spelled Soqotra, is an island and a small archipelago of four islands in the Indian Ocean. Socotra is part of Yemen. It had long been a part of the Aden Governorate. In 2004 it became attached to the Hadhramaut Governorate, which is much closer to the island than Aden (although the nearest governorate was the Al Mahrah Governorate). In 2013, the archipelago became its own governorate. 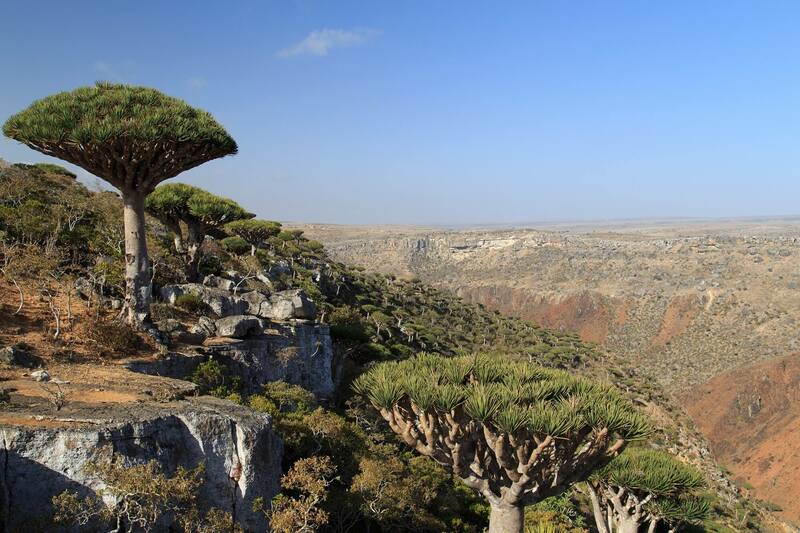 The island of Socotra is about 95% of the landmass of the archipelago. It lies some 240 kilometres (150 mi) east of the Horn of Africa and 380 kilometres (240 mi) south of the Arabian Peninsula. The island is very isolated and a third of its plant life is found nowhere else on the planet. It has been described as "the most alien-looking place on Earth." The island measures 132 kilometres (82 mi) in length and 49.7 kilometres (30.9 mi) in width. In the notes to his translation of the Periplus of the Erythraean Sea, G.W.B. Huntingford remarks that the name Suqotra is not Greek in origin, but from the Sanskrit dvīpa ("island") sukhadhara ("supporting, or providing bliss"). Another posited origin of the name is the Arabic suq meaning "market" and qotra meaning "dripping frankincense".